The 5th International Chess Festival “Yaroslav the Wise” featured a tournament of six European Chess Champions in the period 2009-2014. The double round robin rapid event with the time control 15′+10” was held on 26-27th August at the Yaroslavl State Historical and Architectural Museum. 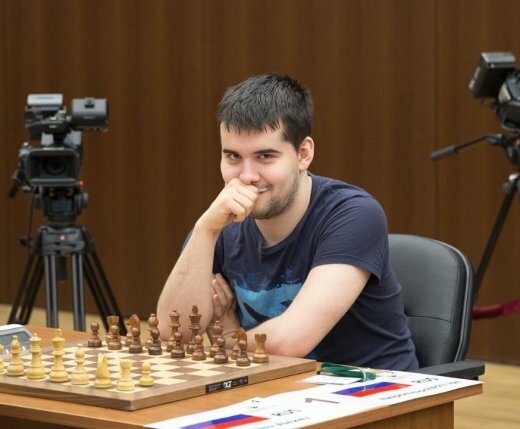 Grandmaster Ian Nepomniachtchi, European Champion in 2010, won the competition with 7,5/10 points, leaving the second-placed Dmitry Jakovenko full point behind. Yaroslavl is one of the famous Golden Ring cities located northeast of Moscow. The historic part of the city is a World Heritage Site.